Another old-fashioned, comfort food dish is Shepherd’s Pie. Historically made to use up any left over meat, it dates back to 1790’s. 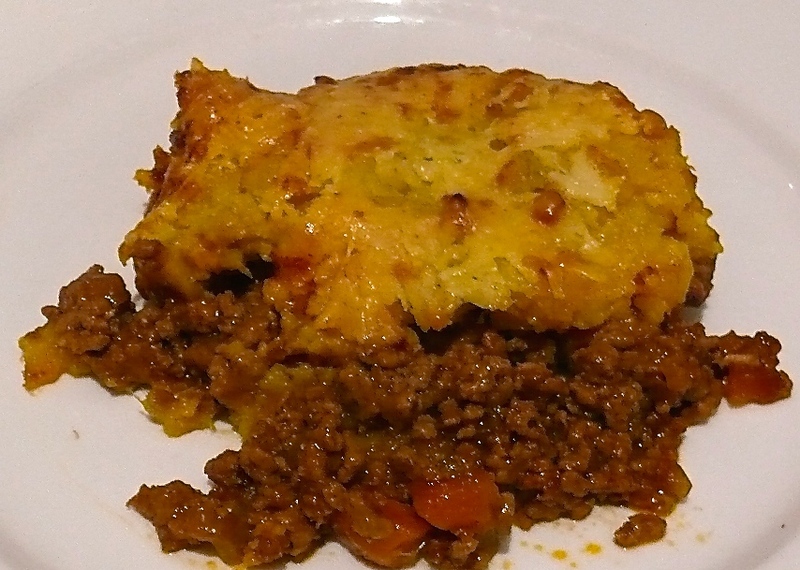 There are a number of different variations so when it is made with beef it’s called Cottage Pie and if it is made with lamb, then it’s Shepherd’s pie. That is because shepherd’s look after sheep – how cute is that? This particular recipe is originally from a well-known diet company, and although it was relatively tasty as a low fat version, there always seemed to be something missing. Pretty obvious what was missing, it was the fat! So adding this back in as butter, cream and cheese not only makes the dish look 100% more enticing, the meal itself leaves you feeling totally satisfied and, not surprisingly, rather full! Dash of cream or full fat milk. Preheat oven to 180c fan-forced oven. Heat butter in a large pan and on a medium heat add onions, carrots and celery. Cook stirring for 5 minutes or until vegetables are softened. Add lamb and cook until browned, about 5 minutes, squashing any lumps with a fork. Add beef stock, Worcestershire sauce and tomato paste. Reduce heat to low, stirring occasionally and cook for 30 minutes or until sauce thickens. While the meat sauce thickens prepare your sweet potato topping. Peel and slice sweet potato. Boil until tender – about 20 minutes. Drain, add butter and a little cream or milk. When thickened, spoon into an oven proof dish and spread with mashed sweet potatoes. Sprinkle with the two cheeses. Bake until the top is golden and juices are bubbling through.